A provisional psychologist is someone who has completed their tertiary qualifications and is undertaking a program of supervision as they develop their applied skills “on the job”. Typically this can involve one to two years of weekly supervision with a senior psychologist. Supervision is where the provisional psychologist discusses the work they are doing with clients (in our case children and young people) with a senior colleague. It’s a space for them to check in that they are being helpful for the client. It’s also a space for the supervisor to make sure that client’s needs are being met by the provisional psychologist. Who are the provisional psychologists in the Centre? Why might I consider a provisional psychologist for my child? As provisional psychologists aren’t eligible to offer Medicare rebates, they charge out at a much lower rate than the registered psychologists in the Centre. They aren’t limited in the number of sessions they can provide either. When working with families, they are still doing exactly the same things a fully registered psychologist would be doing with a family. However they have a psychologist on call that they can check in with to make sure they are heading in the right direction. They are also required to do extensive professional development each year which means they are regularly learning about different ways to help their client. Not all clients will be referred to our provisional psychology team in the Centre. We try to make sure that clients are matched with the psychologist with the right skills mix. However you are welcome to enquire about seeing a provisional psychologist if you think this is an option for your child. Please contact reception for more information about our provisional psychologists or any of our other services on 9274 7062. Aside from getting back into routine, going back to school is great time for children to reconnect with their friends. It’s also another year ahead of learning and fun. For some children the transition back into school can be challenging. Rather than leave that transition to the night before, there is lots that you can do right now to help with getting your child ready. If you haven’t already started, this week is the time to start focusing on getting everyone ready for school again. How can you prepare? 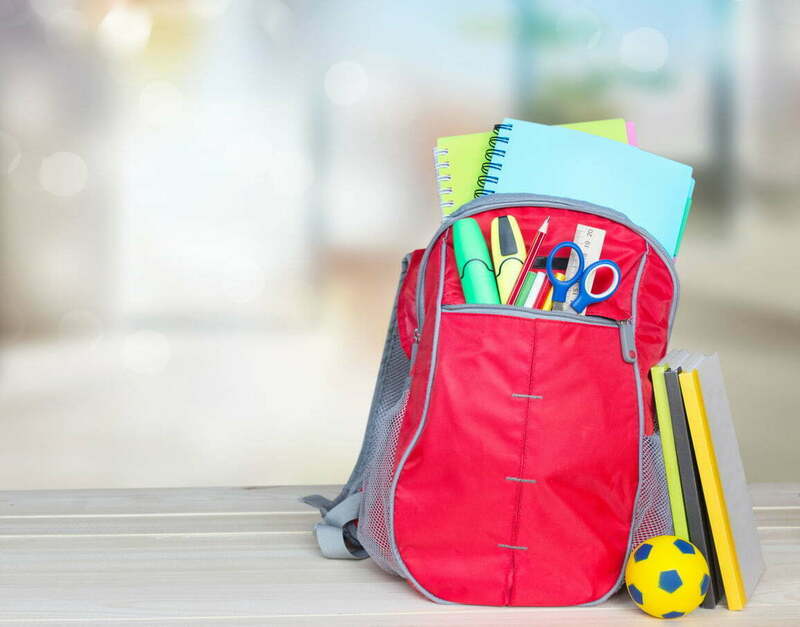 1.Sit down and plan out with your children what you will need to do to prepare for school. Create a checklist and timetable of all the steps that are required. This helps reduce any feelings of overwhelm to something more manageable. 2. Talk about the good things that are likely to happen when your child is back at school. The start of the school year is a time to make new friends and meet new teachers. There’s also lots of cool stuff to learn about. 3. Adjust sleep times. During holidays most children tend to go to bed later than they would on a school night and sleep in later. Starting to adjust sleep times gradually before school starts is likely to be more effective then suddenly demanding that your child be asleep at their usual time the night before school starts! 5. Celebrate back to school with party or special event. Include one of their friends or classmates for school to make the occasion that little bit more special. What about the anxious child? Some children become very worried at the start of the new school year, often imaging the worst is about to happen. As parents its important that we acknowledge those worries. Telling someone not to worry seldom works! Instead the focus needs to be on coping strategies and helping the child find things to help them manage these worries. For some children, rehearsal strategies like social stories are really helpful. They explain what is going to happen and can reassure the child that things will be fine. For other children, finding gentle ways to challenge their worry thoughts is what’s needed. For example, reminding them of all the other times they were worried and good things happened. Being a little worried about going back to school is perfectly normal. 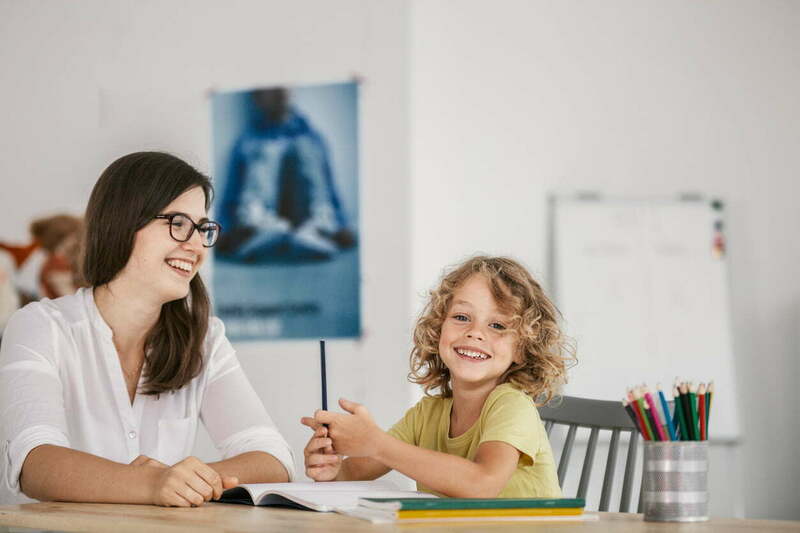 However if you feel your child is “too worried” then our psychology team is there to help with strategies to help children back into school. Please call reception on 9274 7062 for more information about our services. January is often thought of as a quiet month but not at the Child Wellbeing Centre! It’s our second week back in January and it feels like we have hit the ground running! We have two new and one returning team member to tell you about. Toni came to us last year as a Curtin University student on placement. She did such a great job with the children that she worked with that she got a job offer! In her paid role with us this year, Toni will be working as a Behaviour Therapist and Provisional Psychologist on different days of the week. Toni will starting off first learning the ropes as a Junior Behaviour Therapist and picking up a psychology case load towards the end of February. She will be available to work with the families she saw as a student last year. 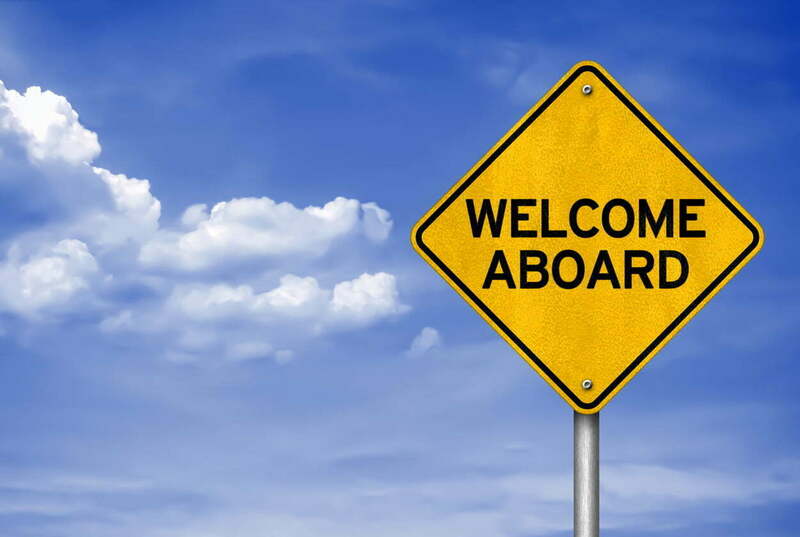 Penny joins the ABACAS team as a Senior Behaviour Therapist. She will be working with individual families providing therapy and be available for parent and school behavioural consultancy. Penny has over 15 years experience in working with ABA programs and a broad range of experience with children with disabilities, developmental delay and learning difficulties. We’re also hoping that Penny will also have her application for provisional registration as a psychologist approved so she is able to provide psychological consultancy services. After having some parental leave last year, Simone returns to the Centre in early February on Saturdays. As a psychologist, Simone has a broad range of experience in working with children with Autism Spectrum Disorders. She also has a an interest in working with children presenting with social and emotional difficulties. Simone will be be available to see old and new clients. We’re really looking forward to Simone join the Saturday team of psychologists again. We still have a few more staffing changes to tell you about. The Centre is currently recruiting another psychologist and we are also in the process of appointing a casual receptionist. I hope to have some news about both of those changes in the near future. 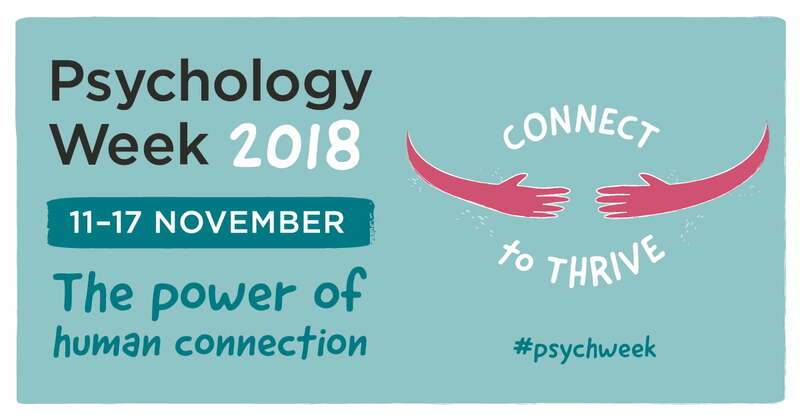 National Psychology Week begins this week with the theme “Connect to Thrive”. Children’s mental health and wellbeing is enhanced by caring and supportive adults in their lives and a positive social network of peers. This is the same for their parents. Feeling that you have a network of others around you that care, that you can talk to and just be with is important for parents overall sense of well-being too. Why we should be concerned about loneliness? Emerging research is showing that feelings of “loneliness” not only impact on our mood but behaviour. Too much loneliness can colour how we view the world and others around us. Hence the theme for this year’s National Psychology Week – Connect to Thrive. Developing relationships with others that are positive and meet our social and emotional needs boosts mental health. Key skills that can help manage feelings of loneliness include positive thinking, stress management and communication. Finding opportunities to meet others is also essential, hence the emphasis on social networking (and not just online!). The link below will take you to a tip sheet on how to “connect” with others developed by the Australian Psychology Society. Children benefit from positive connections with others too and many of the suggestions in the adult resource above also apply. Helping children develop and become confident in their use of social skills (so they can form positive relationships) is a great way to start. So too, is teaching children about positive thinking and optimism. We will be looking at optimism in another post this week, both what it is and how parents can help children develop it. As always though, you are very welcome to talk to any of the staff in the Centre should you have concerns about the wellbeing of your child. Reception will be able to provide information about our services on 9274 7062.